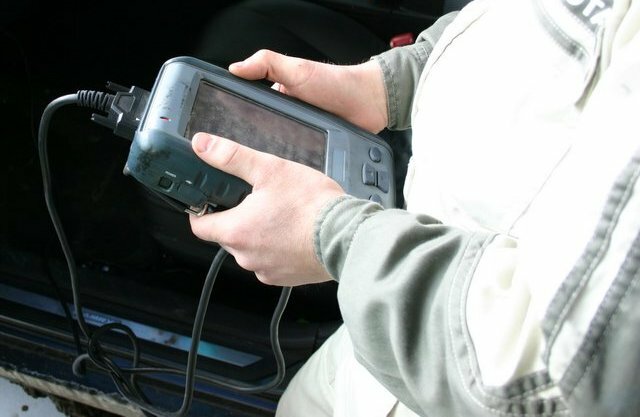 In vehicles equipped with on-board computers, it is much easier to detect faults. Error codes appearing at a vehicle diagnostics, allow detailed decrypt cause breakage, whereby it can be corrected much easier and faster. We invite you to learn what it means to p0190 Mitsubishi fault code, how to diagnose car and any errors found in its process the most. Japanese-made cars Mitsubishi equipped with on-board computer and the self-diagnostic system that allows the car owner to quickly identify the problem. To make a diagnosis of the onboard computer for errors, you will need special equipment to do or ordinary voltmeter. 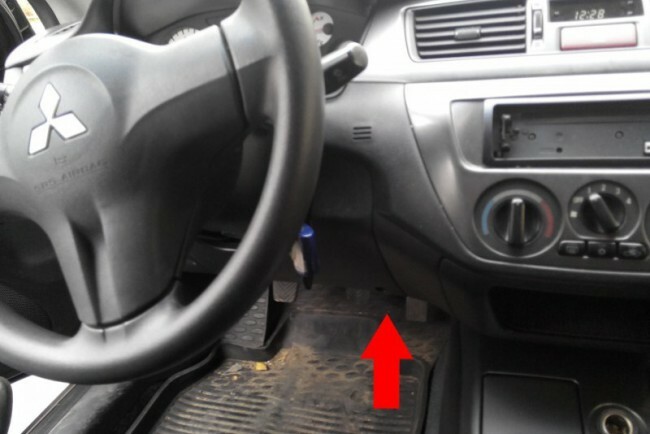 Directly diagnostic socket located in the vehicle passenger compartment, under the dashboard near the fuse box. By connecting a voltmeter to this connector, it is possible to diagnose different systems Mitsubishi. Depending on the model of car, under the dashboard can be located and other connectors for diagnosis. To get the error code, connect a voltmeter to the two terminals of the diagnostic socket and switch on the ignition in your car. If you are going to check the car motor, connect a voltmeter to terminals 1 and 12. If you decide to check transmission systems, the voltmeter should be connected to the connector 6 and 12. 12 and 13 provide diagnostic connector of a vehicle suspension, and the connectors 12 and 4 - ABS unit. If there are cars there are any damage, the voltmeter needle will display trouble codes. It should be noted that unlike the traditional diagnostics cars with the help of special equipment, with independent verification on the voltmeter fault codes will be double. In that case, if your Mitsubishi has no faults, you can watch on your voltmeter usual pulse sequence. The frequency of their appearance is one and a half seconds with the same pauses. If you already have a car breakdown, then three seconds after the ignition is switched on the voltmeter will be fixed wide pulses whose duration is 1.8 seconds. And the interval between pulses will be half a second. The number of pulses coincides with a value of ten in the two-digit error code. Here it is worth noting - all fault codes that were recorded computer will be shown in ascending order with a voltmeter. U - for bus data exchange. Below presents a breakdown the two-digit, obtained motorist with self diagnostics Mitsubishi. No pulse - reported the occurrence of damage or malfunction to the EFI unit. 12 - the wrong signal is sent from the air flow control device to the control unit. It is necessary to check the sensor for efficiency. 13 - faulty control unit the intake air temperature. It should be more carefully check the sensor for faults. 14 - the wrong signal from a device throttle control. It is recommended to check the wiring for continuity and insulation or replace the device. 21 - The control unit reports a malfunction of the motor temperature monitoring devices. Typically, in the case of such DTC motorists check the coolant in the system to boil the subject, but in practice, the sensor simply enters the wrong signal. 22 - The crankshaft is in the wrong position or with the crankshaft position monitoring devices on-board computer receives the wrong signal. 23 - With control of the top dead center point of the control unit device receives the wrong signal or replace the sensor. 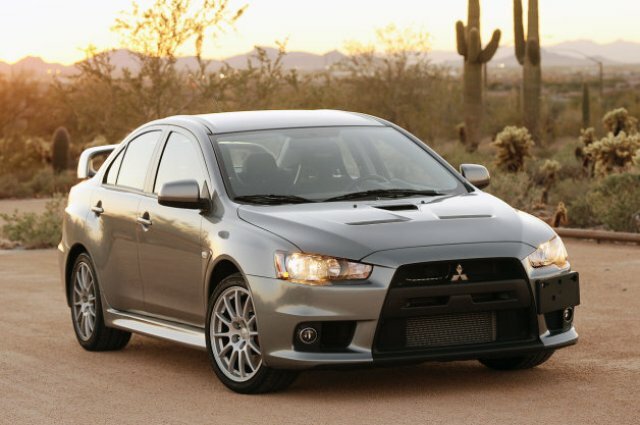 24 - the wrong message comes from the Mitsubishi Lancer speed control device. That is on the speedometer cars can show the speed of which does not correspond to reality. 25 - invalid signal is received from the pressure sensor for monitoring the intake manifold on-board computer. It is necessary to check the wiring and the control device for errors. 36 - Control unit recorded the wrong signal to the ignition timing can be observed multiple passes. 41 - This combination indicates the failure of one of the nozzles. Continuous pulse - car system works fine, no problem is found. Below are the codes of common problems encountered in the diagnosis of Mitsubishi. R0106 / P pressure control device receives an incorrect signal or operation of the sensor is broken. You should check the wire electrical circuit for an open or short, or make a more thorough probe diagnostics. R0107 - R0108 / on the control unit with the MAP sensor signal goes wrong. R0007 / invalid signal is fed to the fuel valve. It is necessary to replace the device. R0130 was detected incorrect operation of the sensor, front right level of oxygen in the injection control system. R0136 / fix a malfunction or an incorrect signal coming from the right rear O2 sensor. R0150, R1055 / control unit reports the damage occurred or the front left rear oxygen level sensor. R0171 - R0172 / The control unit received information too poor or too high level of the fuel mixture in the fuel system. R0201 - R0206 / On-board computer reports an error in the 1 - 6 cylinder cylinder head. R0351, R0352 / Mitsubishi in the primary circuit of the ignition coil have been recorded faults. This is the first or the second coil. R0400 / Freeze incorrect operation of the components of EGR system. It is recommended to make a thorough diagnosis system for faults. R0401 / Microcomputer announces failure of EGR system. R0190 / This combination of numbers, which appeared at the time of diagnosis of cars, reports about breakages in the wiring circuit gasoline pressure level sensor in the fuel rail. It is necessary to replace the component. If this does not help, you should make a thorough diagnosis of the circuit wiring. U1102 / This combination is often found in the diagnosis of Mitsubishi Lancer. In practice, it appears those motorists that when installing signaling its lengthened vehicle wiring. In fact, it means a fault signaling circuits, but in fact just the very failure is very rare. R0421 / control unit reports the low efficiency of the catalyst warm-up the first bank. The combination of R0421 is common in cars Mitsubishi Lancer, but in fact the vehicle's performance is not affected. Picking up speed when the vehicle starts troit can feel the jerks when driving. Java heap space. Error java heap space is also common in the diagnosis of Mitsubishi cars. It is the lack of memory in a car navigation system in support of Java-based applications. To eliminate this code, remove the extra installed applications. If the code does not disappear after removing programs, you may need to rewrite the navigation system. Presented codes - it is only a small part of all that can show the on-board computer in the diagnosis. For a more complete overview of errors it is recommended to use combinations of the instruction manual for your car. If you check the vehicle for any error codes you produce in the workshop, the experts after the elimination of a fault code will fold themselves. If you do it yourself, after you have corrected the damage, disconnect the negative battery terminal and wait for about 15 seconds. Note that while the ignition must be turned on.